How apple juice is good for health? Everybody is familiar with the fact that “An Apple a Day Keeps the Doctor Away”. This precise statement shows the relevance and significance of eating apple and drinking apple juice. Apple juice promotes healthy body due to its enough power packed disease fighting vitamins. Apple juice is associated with important phytonutrients, which counter many health hazards like cancer, asthma, cardiovascular disease and blood pressure. Because of its antioxidants content, it reduces the risk of many chronic diseases. Apple is the richest source of phenolic compounds, which directly absorbed into the blood stream. “Apple juice with 3apples“. Licensed under CC BY-SA 3.0 via Wikimedia Commons. Apple juice is the wonderful healthiest juice to keep you away from diseases and ailments. Apple is grown across the world and equally cherish by the people due to its delicious, enriched nutrient facts and incredible health benefits. Apple juice is loaded with antioxidants. It is having important bio-chemical compounds such as polyphenols and flavonoids. These compounds are good in promoting heart health. Potassium is also seen with these products and good for heart. Potassium controls heart’s electrical activity and manages the acid-base ratio. One cup of apple juice provides more Potassium than the body’s daily requirement. Drinking of apple juice is also linked with decreased risk of stroke. Regular drinking of apple juice prevents the hardening of arteries due to rich amount of vitamin C. Apple juice helps to reduce cholesterol levels in the body thereby save you from many cardiac problems. Drinking apple juice every day is enabled you developing resistance against many diseases. Apple juice has the adequate amount of vitamin C, which boosts your immunity thereby prevents you from many diseases caused by virus and bacteria. The presence of vitamin C and iron is also effective in making your bones stronger. Apple’s maximum nutrients are found on the skin or just below the skin. 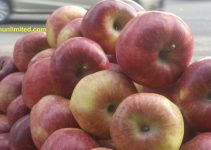 Apple has the adequate amount of pectin and fiber. Apple juice has the good amount of vitamin A, C and B6. Drinking a cup of apple juice means taking 10 different types of vitamins at a time. The juice also contains important minerals like calcium, potassium, phosphorous, magnesium, manganese and iron. Apple juice has multiples phytonutrients such as ellagic acid, malic acid, chlorogenic acid, and quercetin. It is low in sodium and contains no fat and cholesterol. United States of America is the second largest producer of apple after China in the world. Apple is also the second most popular fruit in US after banana, which is having the distinction of first. On an average, each American eats about 19 pounds of apple/ year. Very interesting and informative. Your english is very good and understandable. Please take more and more water. You can also practiced Yoga. Very informative and that encouraged me all the more to drink apple juice. I am a coffee drinker and all these years I drank it first thing in the morning to ensure good bowel movement. I feel better that there is an alternative way aside from the many benefits that is listed down. Thank you so much! You can cure your Asthma completely through Yoga. You can do Pranayama breathing yoga. You can also contact our team of yoga experts and therapist on info@gyanunlimited.com. I have got a fatty liver grade 2. I have heard ir is very good cor liver. I am just trying it.